The annual Hi-Tech Security Business Directory is a comprehensive reference source incorporating the most wide-ranging compilation of security technology suppliers and service providers in South Africa. 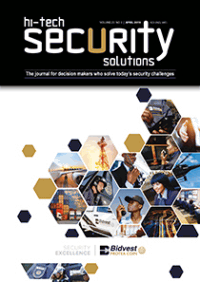 The Hi-Tech Security Business Directory is recognised as the who's–who of the South African security industry. 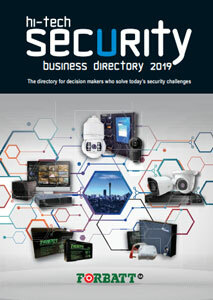 Published in print and electronic versions, the Hi-Tech Security Business Directory is the definitive resource that enables users to find security and security-related companies, brands, products, solutions or services. Users do not need to search through endless, non-classified Internet searches. The directory empowers you to find who or what you need in a single resource. Product and services tables covering the full spectrum of security products and solutions. HSBD is published online providing quick effective access for security professionals and buyers who prefer to access the information they require electronically. The online guide mirrors the printed copy, but allows for more in-depth searching to facilitate finding exactly the company, solutions and products needed. 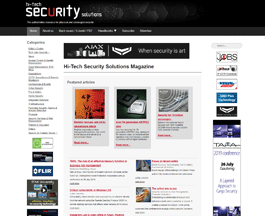 The HSBD print advertising rates are included in the Hi-Tech Security Solutions Media Profile.